On March 30, 2018, Jasper County Sheriff’s Department Deputies were conducting a Safety Checkpoint in Heidelberg. During the checkpoint Deputies made contact with a Silver 4Runner driven by Kenneth Ray Brown of Heidelberg. While speaking to Brown, Deputies detected an odor believed to be Marijuana coming from inside the vehicle. As Officers prepared to search the vehicle an Officer at the scene witnessed Mr. Brown throwing a plastic bag into the wooded area next to Brown’s vehicle. Deputies found the plastic bag which contained what is believed to be ten small bags of Marijuana and one small bag of Hashish. 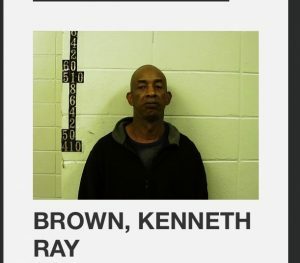 Mr. Brown was taken into custody for two Felony counts of Possession of a Controlled Substances. He was brought before Judge Marvin Jones where his bond was denied due to the fact that Brown is currently out on bond for three Sale of Controlled Substance Charges in 2017.